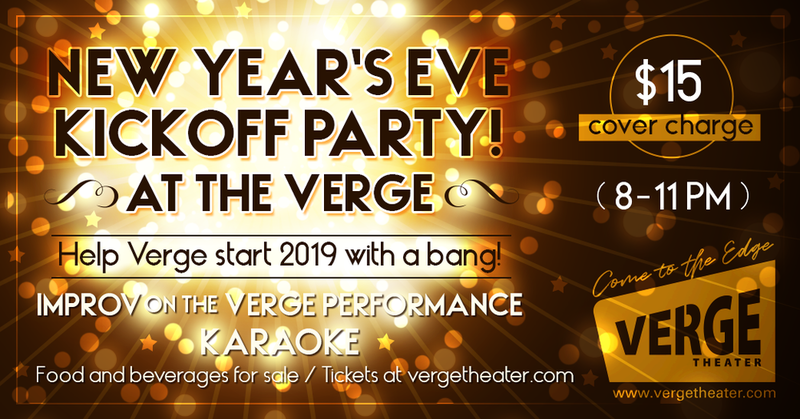 Help Verge start 2019 with a bang! Join us for a celebration of the year past and the year to come. There will be IMPROV. There will be KARAOKE. There will be food and drinks. And most importantly there will be fun with the Verge fam! Come for the whole event or swing by to serenade us with your favorite karaoke jam. Regardless we will be happy to see you. Festivities end at 11pm so that Jessie doesn't turn into a pumpkin and so everyone can make it home for the big count down.